You may have noticed that Behind the Paper posts now have journal name badges! To add your journal name, simply click on the appropriate badge when you write a post. You will see all the journal name badges on the right hand side, underneath the channels. You can see some examples, below. Click on the badge to add the journal name to the top of the post, and on the community homepage, as shown below. Even better, if you click on the journal name badge, it will take you to all content related to that journal. 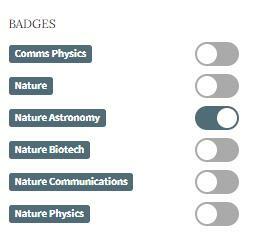 For example, you can see all content for Nature Astronomy by clicking on the badge at the top of this post, or here. Make sure you only add one journal name badge; a second badge will be added automatically showing whether you are a Contributor or Editor (or work for Nature Research). 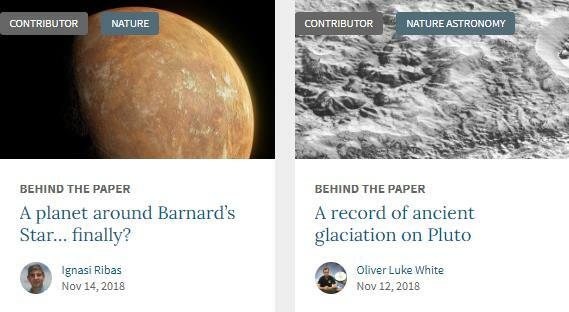 This cannot be changed as it shows whether you are one of our Nature Research Editors or a Contributor from the research community. Poster image: original Nature cover from 1869 (Wikimedia Commons).